The Little Free Pantry is an action against local food insecurity. It is most often for those who are not able to meet everyday food and personal needs. Many food pantries require an application before use and have set hours of operation. 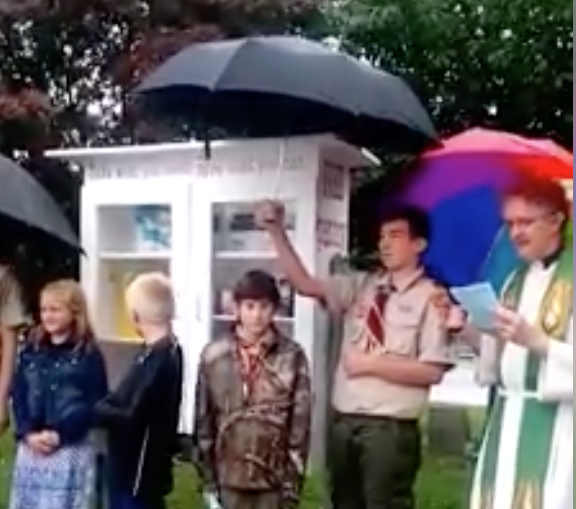 The Little Free Pantry is a safety net. 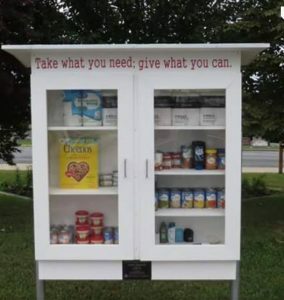 Anyone may access the Little Free Pantry at any time. 24 hours a day, 7 days a week. Neighbors are encouraged to take what they need and give what they can. The Little Free Pantry at Immanuel was the 2018 project for God’s Work, Our Hands. We were blessed to be the first recipient of a startup grant from McKenzie Greenwood, founder of Hampstead’s Little Free Pantry. 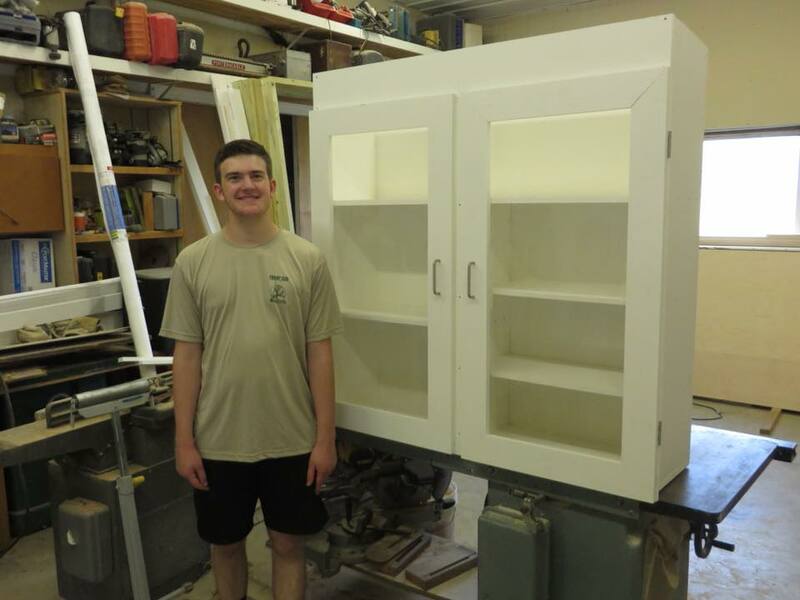 The pantry was built by Connor Vogelsang (a member of Troop 320) for his Eagle Scout project. Connor conducted additional fundraising to purchase food for the pantry. The Manchester pantry is maintained by the Sunday School children of Immanuel on a weekly bases. In lieu of collecting money for an offering each week, children bring a canned good or toiletry item to place in the pantry. We have noticed that paper products such as toilet paper and tissues go quickly as these items are not covered under WIC. Maintaining the pantry has become part of our weekly lesson. Anyone is invited to drop off donations at any time.